Abbie's Army has been formed by a group of family and friends of Abbie Mifsud. She was a remarkably brave little girl who on September 13th 2011 , at only 6 years of age lost her fight with an inoperable and incurable (DIPG) brain tumour. This was just 5months from her initial diagnosis. Our mission is to RAISE awareness and contribute much needed funds for children's brain tumour research which currently is so very underfunded. It may be to late to help our darling girl but any donation that could save future families some of the pain that brain tumour diagnosis brings, is extremely worthwhile. To do this in Abbie's memory is an honour and means the world to us. We have so far raised in excess of £65,000 for the Childrens Brain Tumour Research Centre (CBTRC) at the University of Nottingham, and we have also donated over £15,000 to The Royal Marsden Cancer Charity. Thank you for your generosity. If you would like to make a donation please click the link at the top of any page, and your contribution will be greatly appreciated. 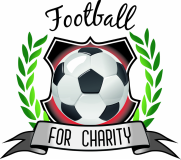 If you would like to join our fund raising activities or you think that you can help us at all in any way then please get in touch by clicking on the logo above.